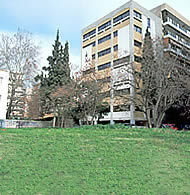 The Institute for Balkan Studies (usually known by its Greek acronym: IMXA) was founded in March 1953, and operated as an offshoot of the Society for Macedonian Studies for the next twenty years. Since 1974, it has been an independent legal entity governed by private law, under the aegis of the Ministry of Culture, Education and Religious Affairs. Its activities include: i) conducting research into the history, archaeology, culture, international relations, economics, and other aspects of the Balkan Peninsula; ii) publishing scholarly studies and periodicals; iii) organising conferences and other academic meetings; iv) teaching the Balkan languages, Russian and Polish; and v) running Greek summer courses for speakers of other languages. IMXA's main concerns are to promote a better understanding of the developments which have shaped the current situation in south-eastern Europe and to work with the international and Balkan scholarly community. The work of the Institute is carried out by experienced research staff, all with master's and doctoral degrees, whose research covers all the Balkan countries. On the international scene, IMXA has built up a wide network of contacts and co-operation with various top-level research centres and the Academies of Sciences in south-eastern Europe, as also with its counterparts in other countries, such as the United States, Britain, France, Italy, Russia, and Germany. The Institute has published some 300 monographs, and also produces the periodicals Valkanika Symmeikta (in Greek) and Balkan Studies (in international languages). 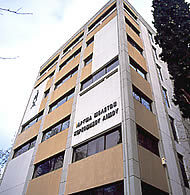 IMXA also runs the only library in Greece that specialises in Balkan-related subjects. Fully computerised, it stocks over 25,000 books and 700 current periodicals; and it also has an extensive archive of microfilms, with systems for reading them and printing them out. One very important aspect of the Instiute's activities is the School of Balkan Languages and Russian, which opened in 1963 and has produced more than 8,000 alumni to date. Also, every year since 1964, the International Summer School for Greek Language, History, and Culture has been offering foreign students and scholars the opportunity to cultivate a knowledge of the Greek language and to learn more about Greek history and culture.